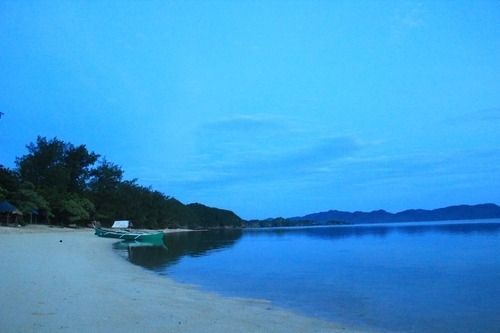 The mere idea of being alone in an island woke me up 4:30 in the morning. I think it was my conscious mind that reminded me in my sleep to witness the sunrise. I walked alone for a while along the shore and breathed the fresh air. I uttered my deepest appreciation on the scenery I was witnessing. We ate our breakfast and packed our rented tents. By 6:30am, Kuya Arnulfo was backed on the shore to pick us up. 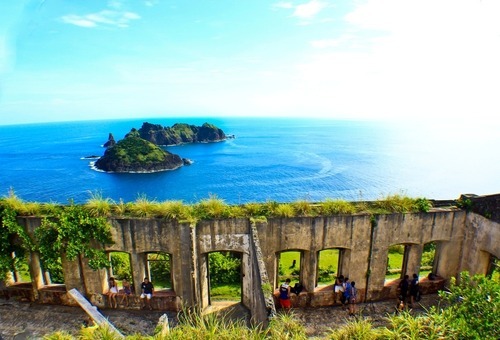 Our first stop was in Palaui Island, an island off the northeasternmost point of the island of Luzon. 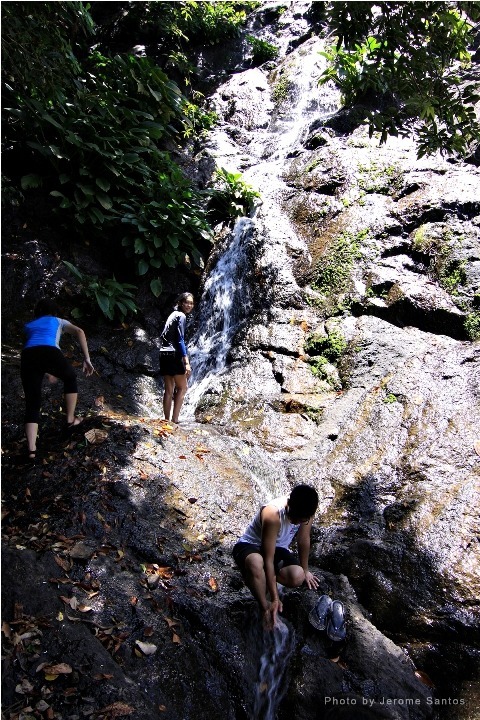 We did a looooooot of trekking in the island. 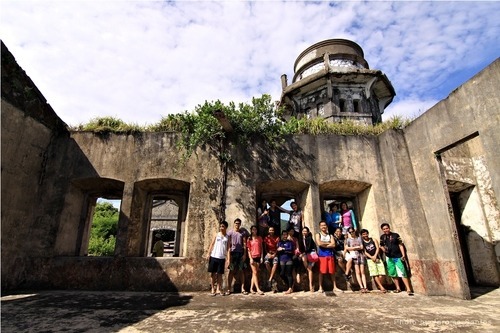 An 18th century lighthouse built by the Spaniards to guide ships entering and leaving the coastal towns of Sta. Ana specially those vessels using Port Irene and San Vicente Port, and those traversing the Babuyan Channel and Philippine Sea. 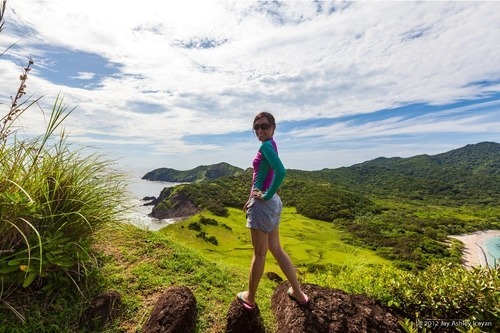 It is the easternmost of the lights on the north coast of Luzon. It was very old that all we saw was like the walls of Intramuros. We went up into the lighthouse but the top-most was already blocked due to floor’s fragility. But the trek going up to lighthouse and view from it was truly awesome. We paid P50 per person as an entrance fee. It was cheap, yes. But the price is not yet their standard rate as there was still ongoing discussion on fees in the island. 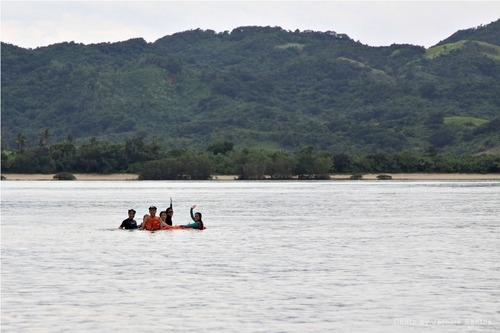 We also had a local guide who was supposedly should have been paid P250 but the supervisor did not asked for it anymore. 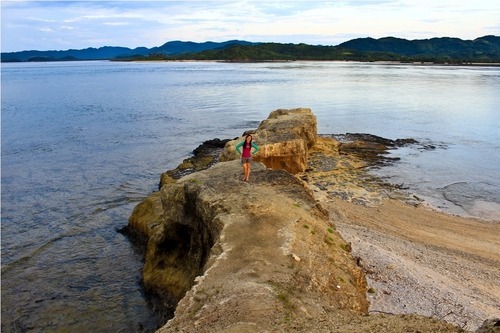 From the shore near Cape Engaño, we walked into a rainforest going to Punta Verde to find a small community of locals. We trekked for around 3 hours. I have never been into a deep forest so I was a little giddy about the idea of exploring the forest. 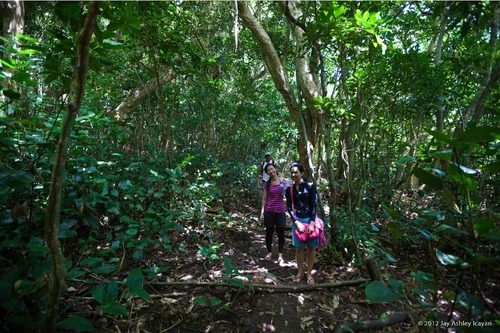 Lagunzad Trail and Leonardo’s Trail were full of vegetation and tall trees. Long leaves kept on bashing on our arms and our muddy feet avoided huge holes which we thought had snakes in it. We rested and bathed at a waterfall. Super lamig!!! 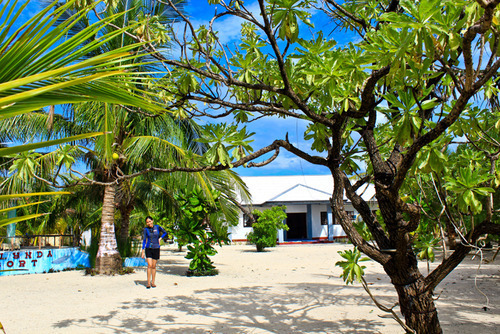 When we arrived in Punta Verde, we were so exhausted! A small store offered us drinks and breads then suddenly kids were in our midst. They played bubbles-blowing with Sol, Pipo and Charles while I was offered by one kid with a chair when she found me sitting among the bushes. They were really heart-warming. We were really lucky that although the owner, Ate Lina (+63915-5161584), was not in the resort when I called her for a sudden request of lunch for 17 people, her staffs was able to prepare immediately. The resort was, again, solely accommodated by us. It was a very big clean resort. 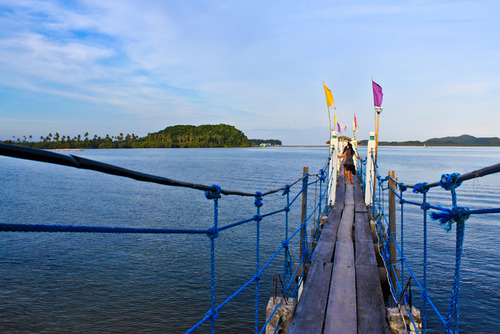 They have a beach volleyball court, big cottages, a garden of huge trees, an ongoing construction of a man-made lake and the well-known long bridge in San Vicente. We rented 3 air-conditioned rooms for P3,800 with additional 2 mattresses. We also requested them to cook us dinner. Although the island was said to be shaped like a crocodile, I must say that it is named as it is because of the stones it has. 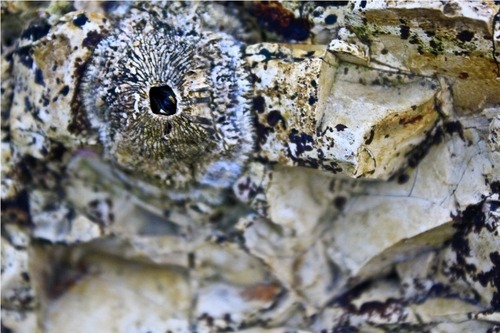 It looked like the texture of a crocodile: simply spectacular in macro view. The island is primarily known for its marine life so we had an hour or two for snorkeling. But what I truly enjoyed is our exploration of the tiny island.